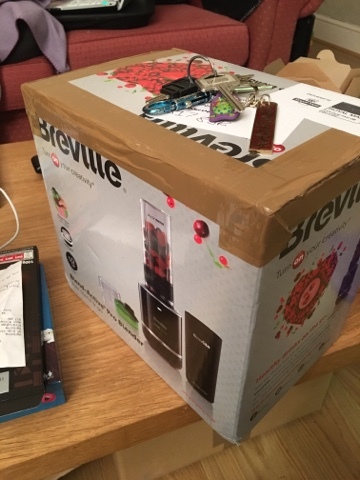 This week has been a great one for parcels and things in the post - we also got a blender! 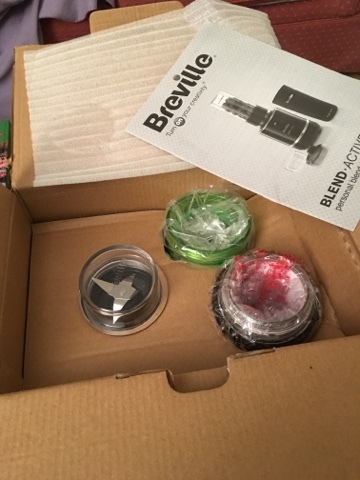 Long time readers will remember that during the Fuhrman weeks that I couldn't do some of the recipies as they called for a lot of blending - well now I can thanks to the nice people at Breville and their promotins for #BlendActive. This changes nothing if it's a load of rubbish though - so lets get it out! The box is well set up and everything is in its place. ..and it all looks quite professional in the kitchen. The foot print is tiny too - it all stacks up out of the way. 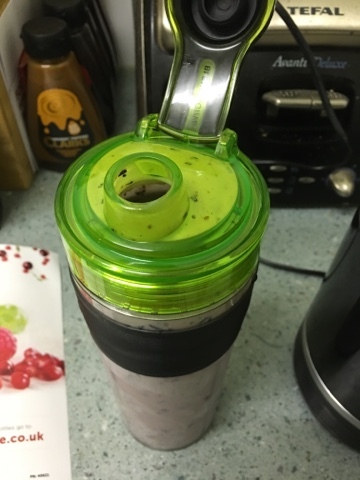 So here we go - lets make a (reasonably) healthy smoothie! Whack it on the blender and brace yourself for the loud noise ... that never comes! 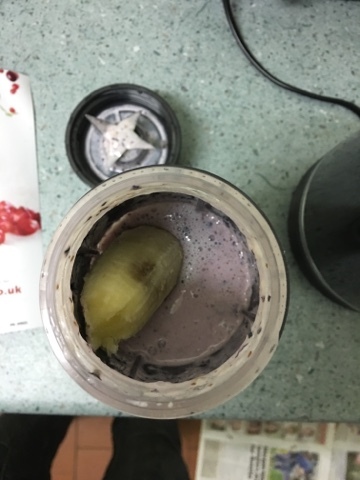 Back in my days blenders were a massive racket - but isn't much louder than a can opener. That's progress! 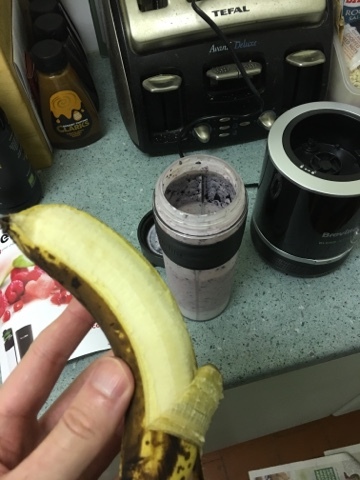 It looked a bit like creamy blueberries so I decided to wack in a banana - perfectly ripe and ready to spin. and it's not bad! 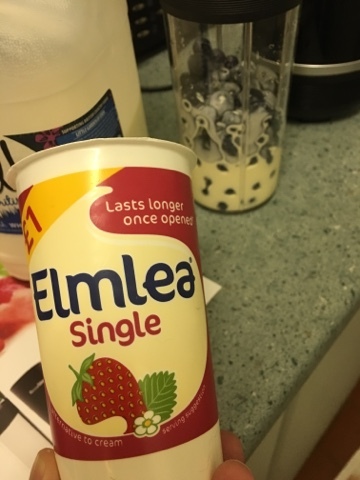 Its possibly a bit on the creamy side but I like that it's basically a fresh fruit milkshake. 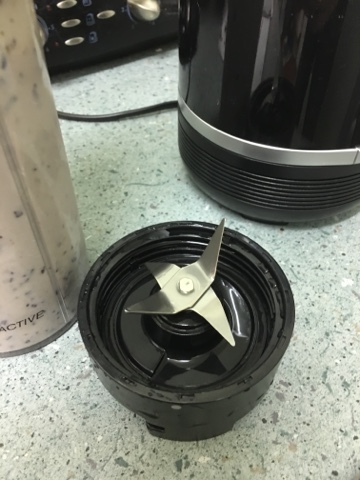 The blade rinsed straight off - another worry of mine was just how much time I'd spend cleaning this. 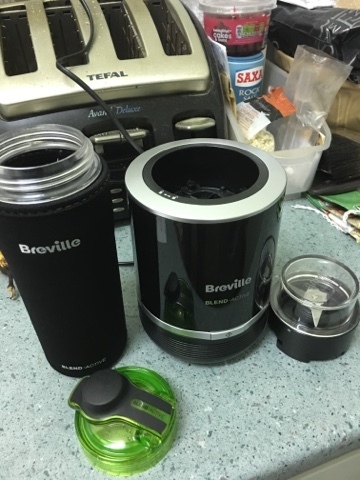 Effortless cleaning means I can use this before work and take the cup with me. Experiemnt number two was to just use fruit and see how it goes. Note the red Clarkes sauce as a secret ingredient! 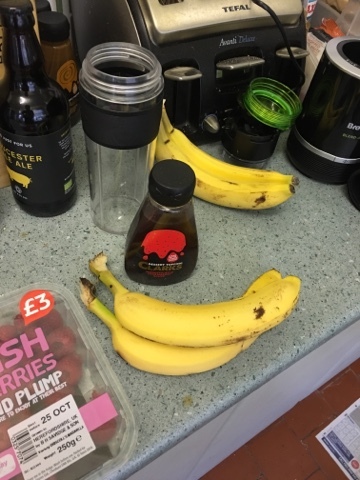 The plan here is two bananas and the rest of a box of raspberries. 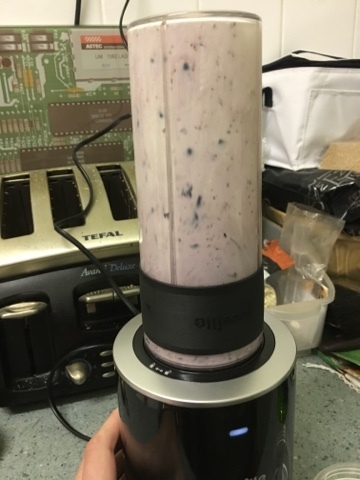 its all looks quite healthy - but will it work? 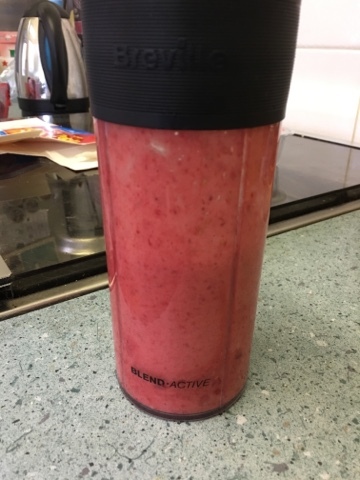 Of course it does - this time its a very pleasing red colour after one banana and turns pink after the second is added. 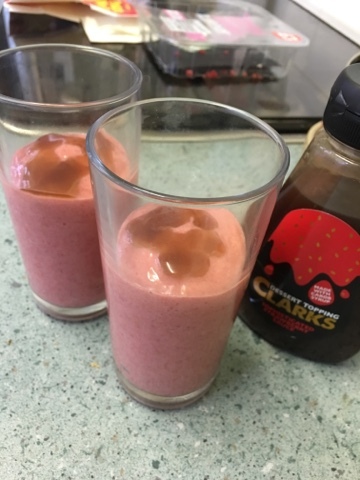 I tried to add a little decorative touch with the sauce on top - I'm not sure it looked amazing, but it added a sweetness to the flavour at the top which was a nice touch. 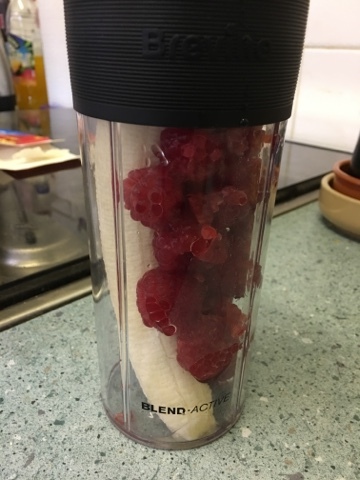 I'd probably just save a few of the raspberries to make it look more presentable. This one was a bit thick really - but a spoon helped get to the bottom. 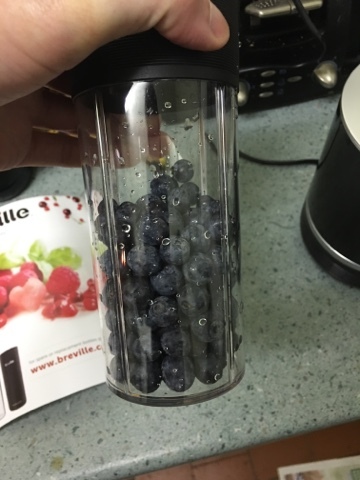 The flavour was fantastic, but I think I may need to add some juicier fruit like grapes to make it into a drink.